In recent days, suspected Muslims in this part of Myanmar appear to have killed more Buddhists in Rakhine. Of course, police investigations are ongoing but the cutting of throats resembles the brutal way that ARSA (Arakan Rohingya Salvation Army) Islamists butcher in Myanmar. Therefore, the international media will ignore once more these murders – or, if reported, a spin will emerge – despite the brutal ways these Buddhists were killed. It is known that three recent attacks; all bearing the hallmarks of suspected Islamist attacks have taken place in recent days. This will once more bring fear to all non-Bengali Muslim communities in Rakhine because various Buddhist ethnic groups and others feel threatened by the duality of the Bengali Muslim land grab and Islamization. 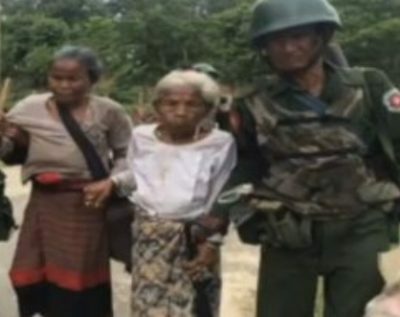 After all, events in the Chittagong Hill Tracts highlight the same twin force in Bangladesh, where the mainly indigenous Buddhist ethnic groups have faced enormous brutality at the hands of outsiders. In another brutal murder, a girl of only thirteen years of age in the vicinity of Maungdaw Township was found with her throat slit. If, like suspected that Islamists were behind these brutal killings in Rakhine, then this follows a similar pattern that blights the Chittagong Hill Tracts and Southern Thailand. Hence, a silent religious cleansing of mainly Buddhists by Muslims that is massively underreported in the international media. This cleansing is based on fear, terrorism, wanton violence, and the flow of rapidly changing demographics. The latest brutal murders in Rakhine are following the silent murders of Buddhists and other non-Muslims in this part of Myanmar. These brutal murders have happened for a long time but the international community has neglected them.